I heard about this one! Its interesting how you compared it to 1984. Similarly from your review it does appear like it has a dystopian approach. 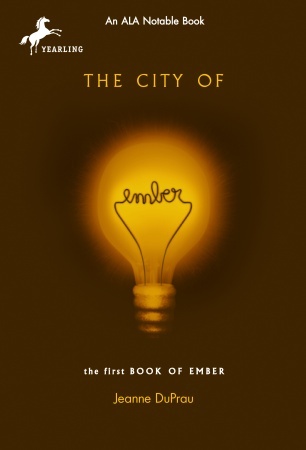 I think The City Of Ember is a great book. I’m not that far into it but i can’t put the book down. My teacher recomended it to me…so I gave it a shot. I can’t wait to finish it and read the next one. Have a great time readingit…if you are going to!!! i cant wait to finish mine ether but i’m only on page 147. IT IS A STUPENDOUS BOOK!!!!!!!!!!!!!!!!!!!!!!!!!!!!!!!!!!!! !